If you are thinking of moving a house and yet have no idea where to begin, then what you need is our removals company to come and help you out. We have a wide range of services that can help you move. Our services come either individually or into a neat package that will help you cover all your requirements for your house move. Our removals services in Fortis Green, N2 can really help you out, whatever your needs. We offer man and van services if you need a van and a professional removals team. We also provide professional packing services that can help you pack all your items for you. If you are worried about how to pack and move large items or delicate objects, rely on Moving Service to solve your problem. Our experienced and professional team can make the moving checklist for you and make sure the job gets done swiftly, smoothly and as stress-free as possible. So, if you are searching for a removals company, call us now on 020 8746 4402. Our removals professionals in N2 area are there for you, guaranteeing a simple solution to all your removal needs. 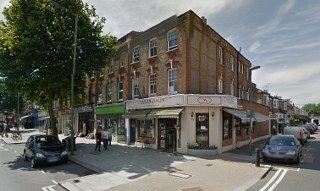 The area is found in North London and includes the postcode area N2. Its wide streets, quiet atmosphere and large houses attract mostly highly skilled or well-qualified residents to make a life in the area. It offers somewhat of a retreat from Greater London with its cosy, community feel, yet still provides access to the major transport system thanks to two large nearby tube stations: East Finchley and Highgate. The area is also well-connected to the bus system, so those working in Central London have good means to commute to work on a daily basis. The area is mostly residential with little major commercial areas. However, some small shops like little convenience stores are dotted around. There are also some other varieties of stores that serve a niche market as well as simple chain stores nearby. It is a popular place to live and attracts many young professionals, couples and families who wish to live in London yet still want some peace and quiet in a town-like neighbourhood. Just outside the area there are plenty of green areas to get a countryside feel that is especially popular during the summer months among the local residents. Except man and van services, we also provide a fantastic range of packing services. Our skilled and experienced removals team can help pack even the most delicate or fragile items, leaving you reassured that your items are safe. They can also maneuver even the most awkward and heaviest items out of your house with precision and care. Our furniture removals in Fortis Green, N2 are with you every step of the way in making your home removal as stress-free as it can be. They will pack and unpack when the items are delivered to their destination and also give the area a tidy - up by taking away the packing materials and sweeping up any mess left from the move. We have all of your house removal needs across Fortis Green covered! We also provide removals for office moves as well. To know more about our excellent services, call us on 020 8746 4402. Our team at Moving Service will be happy to provide you with more information. They can also give you a free quote and estimation of time for your home removal.